Healthy baked fish tacos in less than 20 minutes?! That’s right! 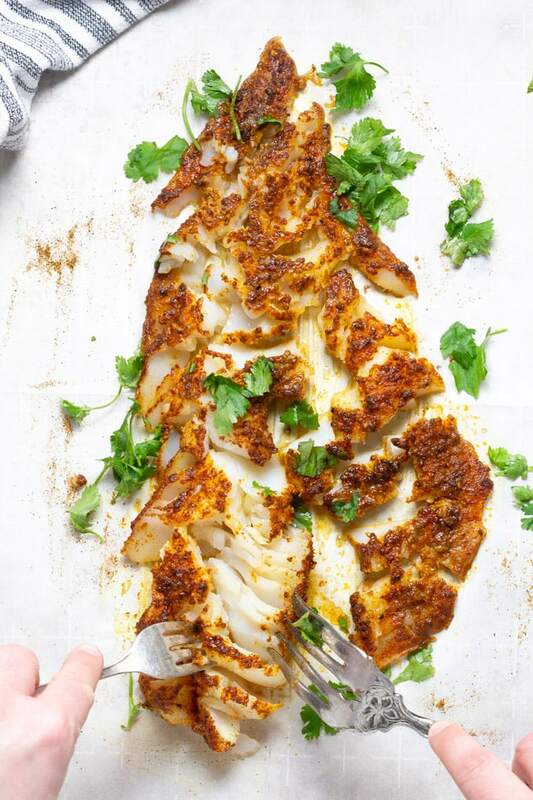 Skip the calories of greasy batter fried fish and dive into this lightened up version that has just as much flavor! 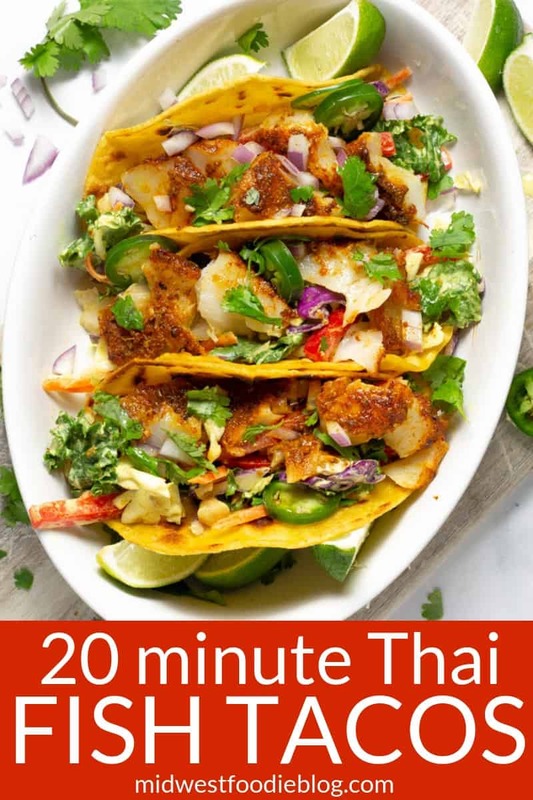 How do I make Thai Curry Tacos? You’ll start by drizzling a 1 pound fillet of mild white fish (I like to use cod) with olive oil. Then season with salt and pepper. Next add the signature Thai curry spice blend and gently massage it into the fish. Bake at 400 degrees for 12-14 minutes or until the thickest part of the fish flakes easily with a fork. 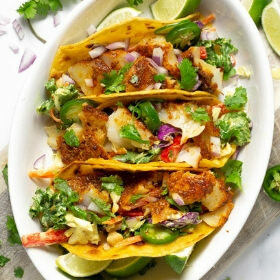 What kind of fish should I use to make these tacos? 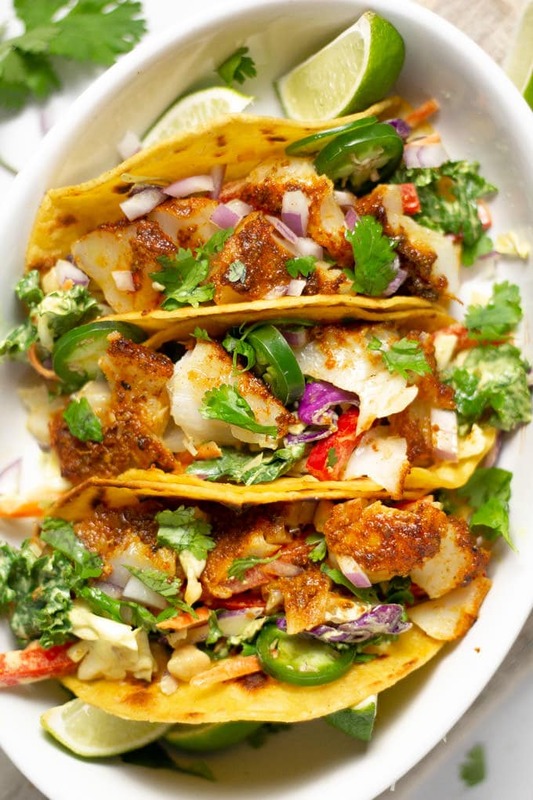 I’m a big fan of cod for any fish tacos including my Basic Baked Fish Tacos with Chipotle Lime Sauce. Use fresh fish! Living in Wisconsin, the struggle is real to find fresh, sustainable fish in my area. I have one grocery store that I love to get my fresh wild caught fish from. Check out your local spots and find one that provides fresh, wild caught fish! Don’t overcook the fish. There’s nothing worse than a rubbery fillet of overcooked fish. Check the fish after about 10 minutes and see if the thickest part flakes easily with a fork. Check every couple minutes after that until the fish is tender and flaky. Season. Season. Season. Make sure you use plenty of salt in the seasoning of the fish! The ingredients are so simple in this dish and the salt is going to boost all those flavors to another level. Healthy baked fish tacos in less than 20 minutes?! That’s right! Skip the calories of greasy batter fried fish and dive into this lightened up version with just as much flavor. 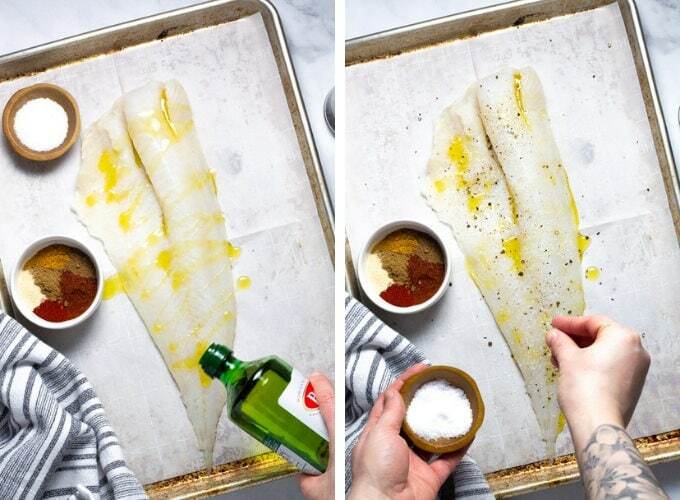 Place fish fillet onto a parchment lined baking sheet and drizzle with olive oil. In a small bowl combine all spices including a large pinch of Kosher salt and pepper. 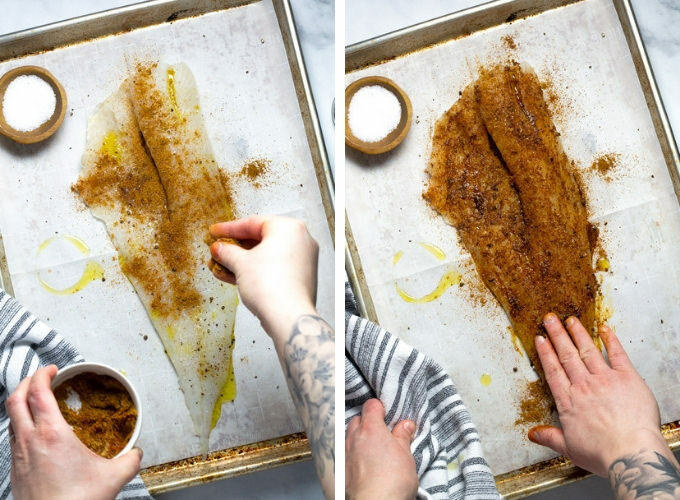 Sprinkle fillet with spices. Use your hands to gently massage the spices into the fillet. Bake for 12-14 minutes or until the fish flakes easily with a fork. 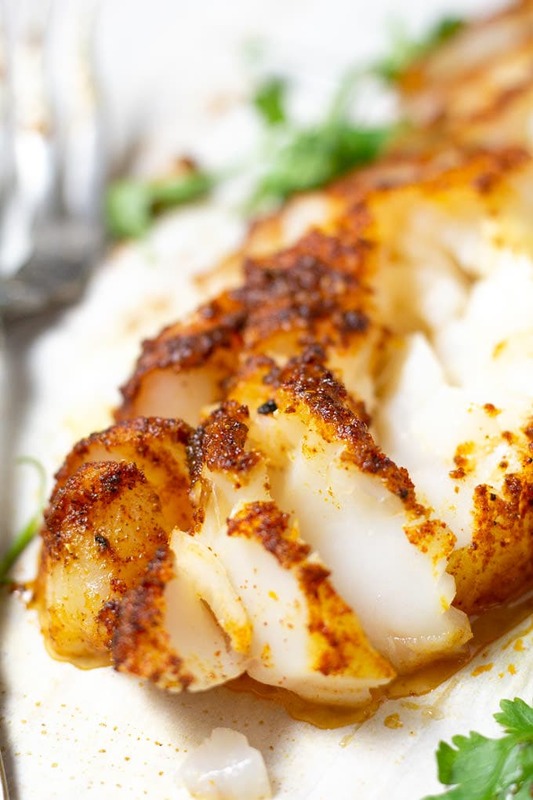 Flake fish into bite size pieces and serve with warmed tortillas. 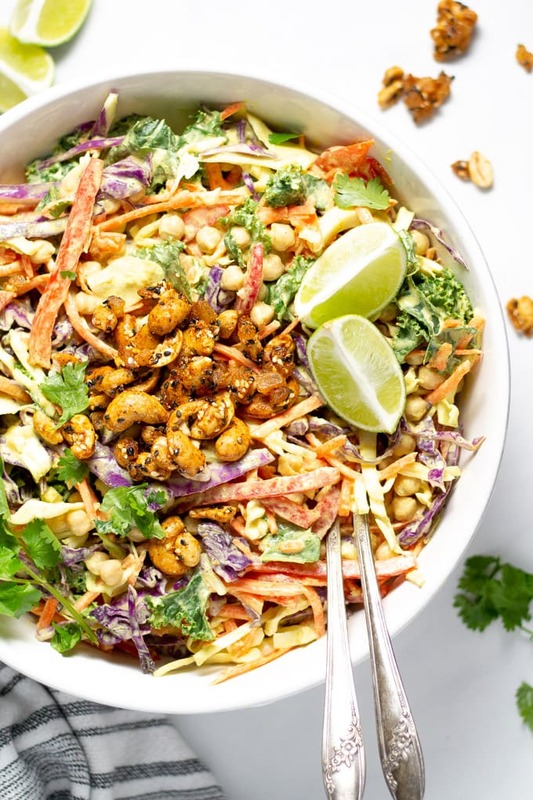 Garnish with curry coleslaw, fresh cilantro and sliced jalapenos. Anything with these delicious spices sounds good to me! And a great healthy option – I love it! Hello Ms. Kylie this recipe is truly amazing and looks delicious. One question though, is Cream Dory can be a substitute for this dish? I’ve never heard of Cream Dory before! But after a quick Google search, I would say yes! It sounds like that would be a fine fish for this dish 🙂 Good question! Wishing we had some for dinner tonight! 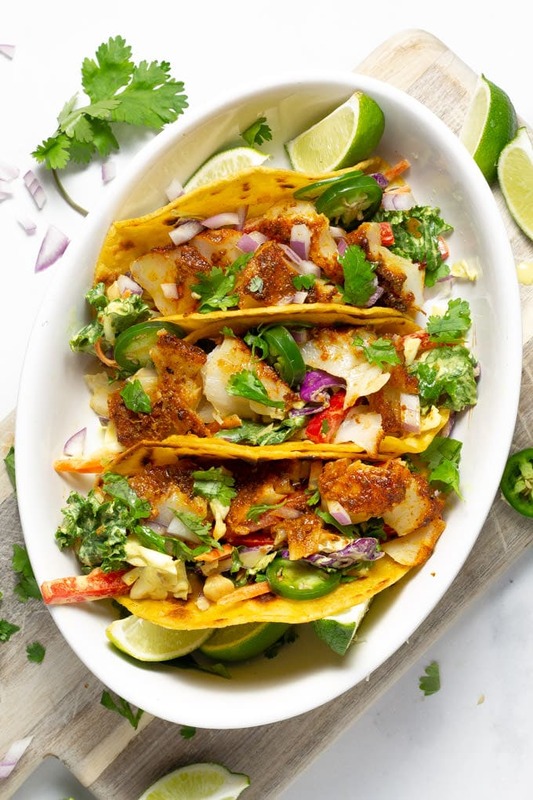 These fish tacos are perfect for Taco Tuesday with a twist! I can’t wait to make this, this weekend. It looks so yummy and nutritious! They are SOOOOOO easy too! We probably eat fish tacos at least 3-4 times a week!